We love the Mac and its great user community. So we wrote a few little utilities that we think belong on every Mac. And we make them available for free. We hope they'll be useful for you too. Spotlight is great, but sometimes you need something more specialized. 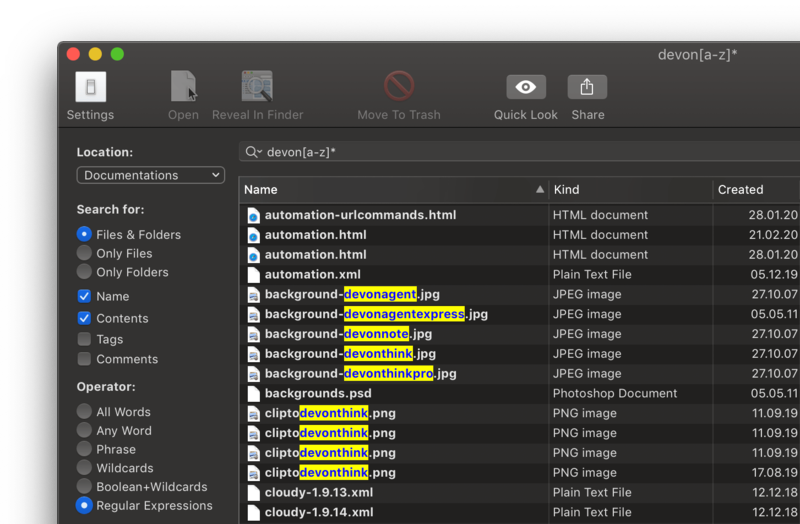 EasyFind finds files and folders by name or content using advanced Boolean operators similar to DEVONthink and DEVONagent, wildcards, and phrases. It does not require indexing, is fast, and uses very little memory. EasyFind can be very thorough. Filters, operators and sorting options still make it, um, easy to find anything in no time. Of course EasyFind doesn't just give you the files. It also shows previews and offers many other options to work with them. Version 4.9.3. Requires Mac OS X Snow Leopard or later. With PhotoStickies you have your dearest ones always with you at your Mac. Or at least pictures of them. PhotoStickies shows your favorite pictures directly on your desktop, floating and, if you like, borderless. Use pictures from your computer or let PhotoStickies load them live from the internet. PhotoStickies also shows live webcams on your desktop and updates them automatically. You can even record them or make them your desktop picture. Version 5.6.7. Requires Mac OS X Snow Leopard or later. Create thumbnails for your website in seconds with ThumbsUp. Drag them to its icon and it converts them in a batch with the previously set options. 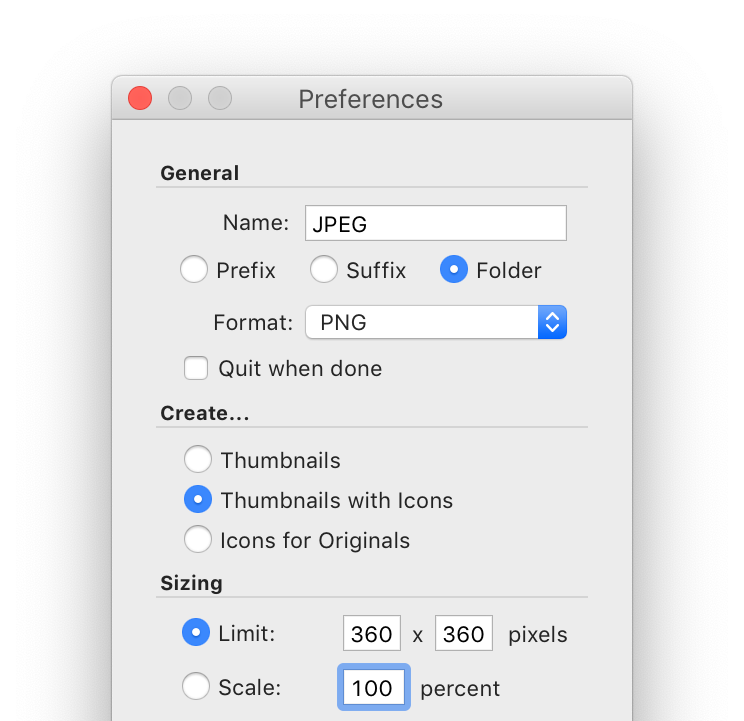 Of course ThumbsUp works with all image formats supported by the Mac including PDF documents and movies. 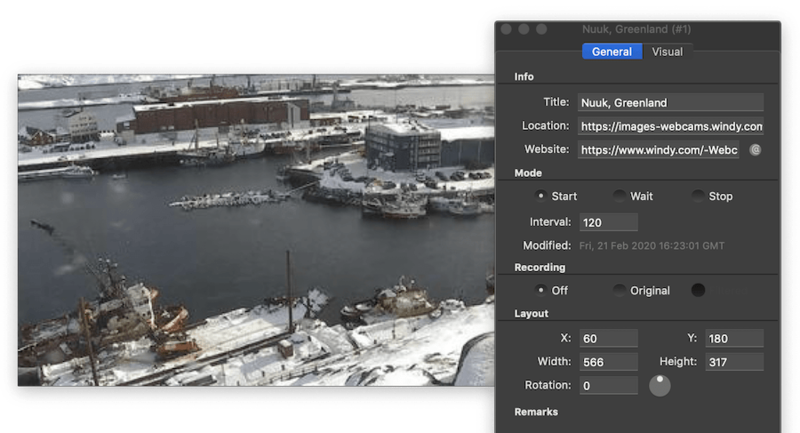 Set desired size, quality, sharpening, and anti-aliasing; scale images by percentage or maximum size. Version 4.5.2. Requires Mac OS X Snow Leopard or later. Add one or more out of six menus to the right side of your menu bar. They give you access to your applications, folders, documents, files, and text snippets. Launch any app with a single menu choice or insert text snippets into your documents. Directly access all your apps, your home folder, documents, snippets, or just anything that can be put into a folder. Version 1.9.9. Requires OS X Yosemite or later. 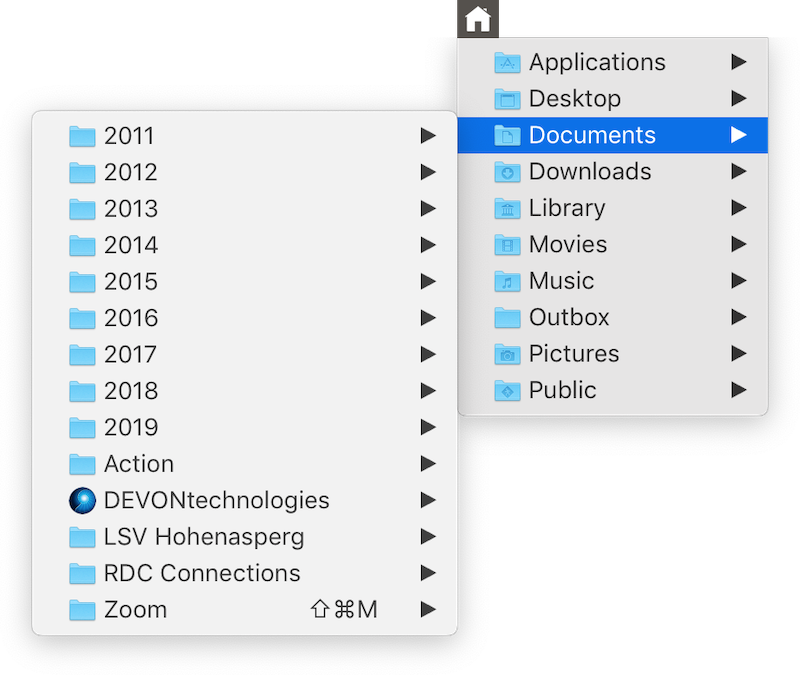 Services appear in the Mac's Services sub-menu and act on selected text, pictures, links, or files. They are provided either by the system itself, by third-party applications such as DEVONthink and DEVONagent, or can be installed as separate modules.. Enter calculations into any Service-aware app like as Mail, Messages, or any of our apps, and get the result with a single keystroke. Append the result to the formula, replace the selected text, or show the result in a panel. Never launch Calculator again if you just need a quick calculation. WordService provides a large number of commands for working with selected text. Extend your favorite word processor, email app, or web browser e.g. with functions for reformating text paragraphs, cleaning up tabs, quotes, or line endings. Remove unwanted text parts, sort lines or paragraphs, change case, and do much, much more with text.